Gabor presented sold out drum masterclasses at the University of Southern California (USC) -invited by Prof. Peter Erskine- and at the Los Angeles Music Academy (LAMA) and at a long list of major UK & EU Music academies, such as: ICMP, BIMM, TECH, ACM, Drumsense, London Drum Show, etc in the UK, Berlin Drumtrainer, Hamburg School of Music, Frankfurt Music Academy, Salzgitter Drummer Meeting in Germany, Swiss Drum Academy, Croatia Drum Camp, Slagwerkkrant Drum Fest in the Netherlands, Provence Drum Camp and Le Ciam Bordeaux in France, etc..amongst countless others. SIGN UP for 1-to-1 private and Global Skype (online) lessons at GABBEY ROAD STUDIO, London! 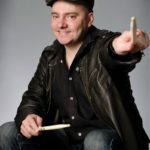 Gabor is also available for “Intensive Drum Camps”, “Masterclasses”, “Drum Clinics” and “Recording Sessions” amongst solo and band performances at international music and drum festivals. For availability and rates please use the “Contact” Menu or feel free to get in touch via: gabor dot assistant at gmail dot com! Jul Academy in the gorgeous Cosenza in the South of Italy. ENJOY Gabs’ lesson on DRUMEO from Vancouver, Canada! Gabs 1 hour lesson on DRUMCHANNEL (with Don Lombardi) in Los Angeles, California! Subscribe NOW for our latest news and hottest deals!